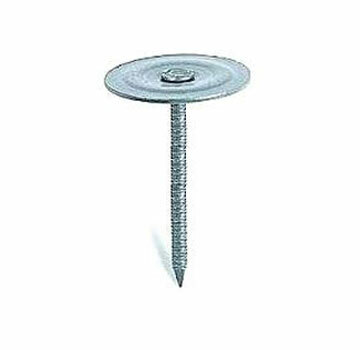 APPLICATIONS: Ring shank round metal round cap nails are used for built-up roofing, modified roofing, and single-ply over nail-able wood roof decks. Also on roof felt for hot built-up roof applications. Long, tapered point for easy driving. Deep grooves on shank for maximum holding. Will not rip felt.